This week only! 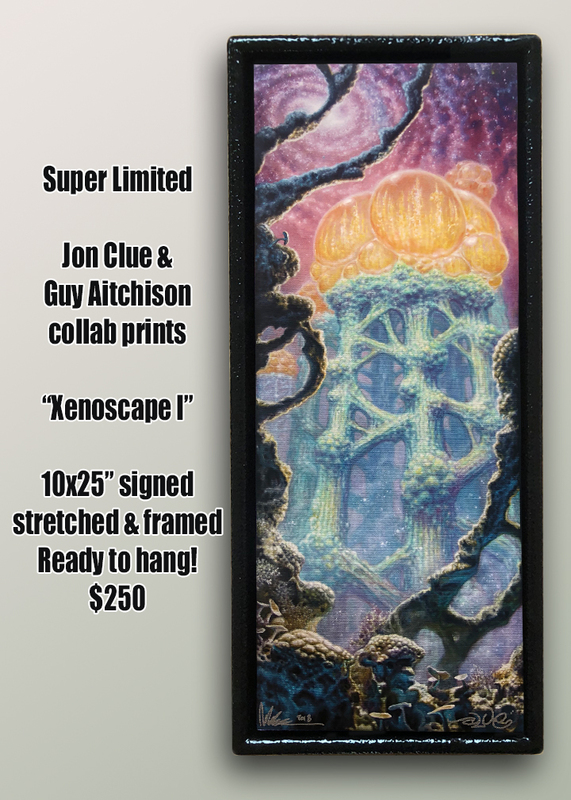 Jon Clue and Guy Aitchison have run off and signed a small handful of mini-prints of their collaborative painting Xenoscape 1. They are being offered stretched and framed, ready to take straight from the box and hang... imagine how blown away your loved ones would be getting this as a gift! Prints are 10x25" on archival canvas, signed by both artists, stretched and mounted in a custom black lacquered textured wooden frame. Order by December 16 and US shipping is guaranteed by Christmas. We have only 6 of these!